For the past 3 years I have slowly moved away from store bought beauty products. I’m not typically one to scoff at preservatives or chemicals, but after years of being on one of those as-seen-on-TV skincare regimens, I finally got sick of their subscription-based products, requiring me to pay for product every few months regardless of my need for it. So, I quit. At first I thought I was in for a lifetime of horrible skin. It turns out, however, that washing with ground oatmeal and honey, a few treatments of my DIY Peeling mask, Honey and oats mask, and moisturizing with my DIY Face Moisturizer worked just as well. More than that, it worked better. I was less broken out, less dry, and less itchy. So, with my washing regimen all sorted, I decided to tackle my other ball and chain: makeup. For years I’ve been shelling out top dollar for an all mineral makeup to keep my skin healthy and chemical free. It requires a trip to a big city, trekking through a mall into a high-priced commission-based makeup outlet where I pay more than a fancy dinner for two just to get a 1.5 ounce pot of powder foundation. Well, if what I’m paying for is just minerals, why can’t I just buy the minerals and mix it myself? I mean, it worked for my cleanser, moisturizer and masks – why not my makeup? 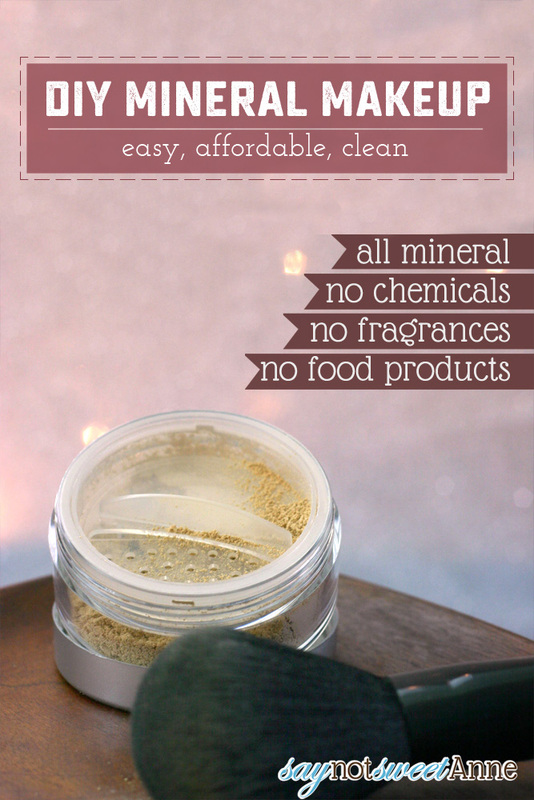 Why can’t I make DIY Mineral Makeup? 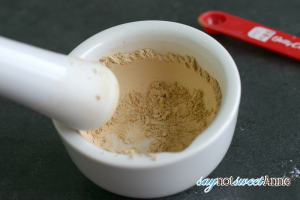 I had seen DIY powder foundations before that used things like cornstarch, arrowroot and cocoa powder. But something about foodstuffs on my face makes me worry about breakouts. I wanted minerals. So I did some research. What I found was that those minerals put in high-priced foundations are highly thought out and purposeful. Some are used for “slipping” – making the makeup go on smoothly. Some are used for reflection, which gives the appearance of radiance and detracts from blemishes. Some are for oil absorption and shine control. Finally, some are for color. After learning all of that, I was feeling that this might be too daunting. Then, while I was browsing Amazon, I noticed some minerals from Making Cosmetics Inc, where I’ve gotten my lotion bottles and applicators for years. It turns out they also sell high-quality pure minerals. More than that, they sell a mineral base blend – with everything but the coloring minerals. 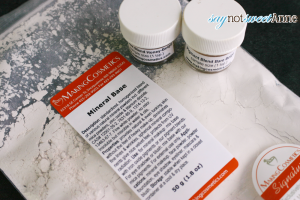 So, I bit the bullet and bought the base blend and a couple of the coloring minerals (I ordered samples of the coloring minerals, about $1 each but there was plenty!). What I ended up with is amazing. I’ve officially retired my department store makeup and now This is all I use. I know exactly what is in it, I can tint it based on my summer and winter colors – oh, and did I mention that each 1.5 oz costs me less than 1/3 of that fancy department store brand? Oh yeah. I’m sold. The basic ratio for the Mineral Base to pigment is about 80% base to 20% pigment for Caucasian complexions and up to 30% base to 70% pigment for other ethnicities. 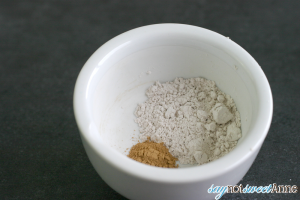 To start, add 1 tbsp of base and 1/4 – 1/2 tbsp pigment to your bowl and mix with the pestle for about a minute and until it all looks even in color. It might seem unnecessary to mix for so long, but it is. 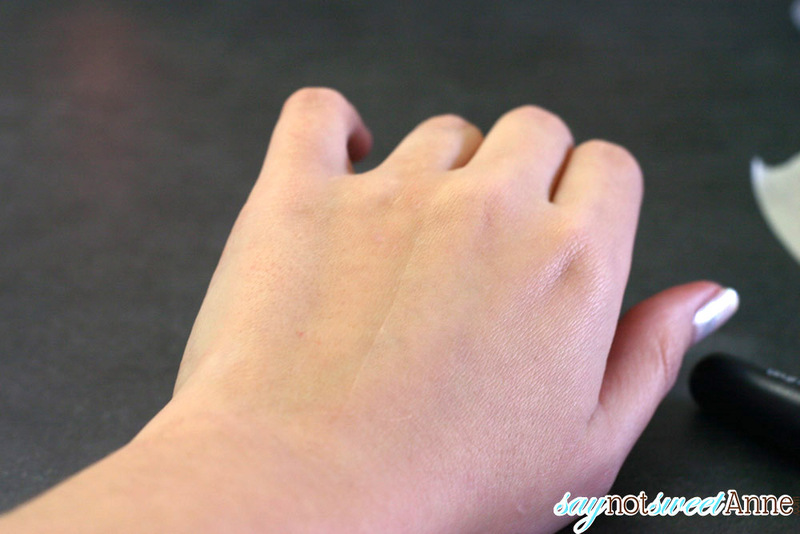 Test the color on the underside of your wrist. Check it in the sunlight. 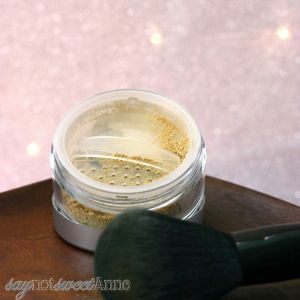 If it is too dark/bright add another tbsp of base and blend again. Repeat until you like the color. Um, that’s it. Yeah I know – easy right? Once you know your color blend (Write it down!!) you can crank out a new batch in just a few minutes. And, if you are the type who gets darker in the summertime, you can follow this process again to find a new color when needed! I will say this home made version covers as well as my department store brand. You can see the difference on my hand. The left side is without foundation and the right side is with. The makeup does smell a little funny though, not bad, just like dirt. Sometimes it comes off as a little acrid. You could add 1 drop off a skin-safe essential oil to scent it, but I was going an all-mineral route and the smell doesn’t bother me. I’ve never tried making my own makeup but it looks really easy! Thanks for sharing this! Pinning now. I think we have the same foundation brush haha (ELF?). This is amazing and so cool my mind is blown. I’m trying to move away from store-bought things more and more, and I love thissssss. I also totally pinned your oat honey mask and I definitely am going to try it =D I have occasional breakouts too (#ewadultacne) so I think I need it haha. Great post!! Ha! That is actually a brush I had to buy for the shoot. My foundation brush has a broken handle and a little bit of rust on the metal that holds the hairs in. Would not make for a good picture. But you’re right! That is an ELF brush!! The oat+honey mask is a great help. I also find “washing” with fresh ground oatmeal is amazing. Just get a little bit wet until it feels lsippery like soap, and wash! No chemicals, no drying. Also, stay tuned. I’ve got a cheap frugal anti-acne toner coming up too!! I just saw this on Google+ and can’t wait to try it! Like you I thought it would be daunting to try, but with these resources you listed I know I can do it! Thanks so much for putting this together – super excited to mix up a batch!!! Mellissa I am sure you won’t regret it!! It really isn’t hard with the pre-done mineral base! This is great! What color pigment(s) do you use? Yeah, the samples you can only get from makingcosmetics.com. I don’t think the have those on Amazon. But its totally worth it to get a few samples so you can be sure to match your color! Do you know if there is a way to see exactly what the ingredients are in the base? As an Esthetician, I am concerned more with the actual ingredients not just whether or not they are “pure” minerals. Bismuth Oxychloride is a pure mineral used in many Mineral Makeups that can be highly irritating. Your info would be appreciated. Thanks! How interesting! I did have a look at the ingredients to make sure there wasn’t anything like talc in it. You can have a look at the page for the Mineral Base. The elements listed are mica, titanium dioxide and zinc oxide. It doesn’t list the full ingredients though – I’ll have to look on the bag. The ingredients on the bag aren’t super specific, they refer to a “proprietary blend”. I’ve got an email in to MakingCosmetics.com but haven’t heard back. In the mean time, its totally possible to make your own mineral base using just the minerals available on their site. They provide a recipe and everything! As long as its not a “proprietary blend” they are really transparent about their ingredients! So glad I found this! I was a reluctant customer of a subscription-based mineral foundation product and felt so tied to it but HATED the price and also not knowing exactly what I was putting on my face. Found this post and decided to take the plunge. In my first batch of this recipe I had the wrong undertone of color (red undertone – all though it didn’t look horrible, just a bit too “pink” for my complexion) so I re-ordered a yellow undertone pigment blend and……. PERFECTION! So inexpensive and easy and it looks great! Thanks for this post! I’m so glad you like it!!! I just bit the bullet and ordered the “large” size of my color. Its funny how $20 in materials can get you $300 in makeup if you are willing to mix them together!! 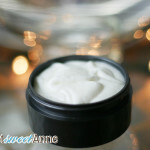 Stay tuned – I’ve got my brain set on making a BB cream using the pigments! 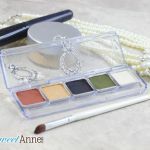 I would have never thought of making my own makeup but after seeing this I think it is a great idea! Thank you for sharing. I love this! I want to give it a try but I can’t find the color samples to order. I’ve been on the website. Can you advise? Hey Mary, sample is a size option under the regular color listing. Hope that helps! I can’t seem to find the $1.00 pigment samples you mentioned…I can only find a batch of 7 sample colors sold all together for $14.50 on the company website…any suggestions? Try to Making cosmetics website. I just checked and it looks like most of the pigment colors are still available in “teaspoon” size (which is between $1 and $2). Hope that helps! If you want a good resource on mineral makeup look at sally trew’s idiots guide to natural makeup. It’s been a godsend (I’ve been making mine for about a year. ) 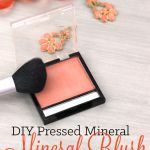 tkb is a company that sells mineral makeup supplies and is referenced in the book quite a bit and using them myself I’m really a fan of their products. I will say that when you’re making it or using it it really shouldn’t have a smell and as your doing grinding you should try to not breath in the dust. I’ve been wanting to order the ingredients for a while now, so I started doing some research. I noticed the pigments contain titanium dioxide, which according to the American Cancer Society, is a highly toxic carcinogen when inhaled in powder form. It is unclear about whether it is toxic through the skin. It is in most makeup and sunscreens, so I hope not. Just a caution when working with the powders. Thanks for the reminder Anna! Always practice safe handling of ANY fine powders, pigments, or mixes. Hey! I’m pretty much as fair skinned as they come, and I was able to mix the perfect color for my skin. I ordered their base, as well as their $15 sampler that had 1-2 tsp of each of their 7 pigment colors. Because the base is white, I just added a TINY bit of color a little at a time until it matched my shade. I ended up mixing 2 Tbs base with 1/4 tsp Natural Buff and 1/4 tsp Bare neutral. It was perfect! Since the mineral base that you start with is white, you should be able to find your perfect shade when adding the pigments. This is a great tutorial, thanks so much for the links! In the eternal fight to eliminate toxins from my home, I am also trying to cut unnecessary plastic. Is that sifter jar glass, and if so could you let us know where you purchased it? Sorry Brittney, my jars are plastic. Also – keep in mind that there are toxic minerals, specifically when you breathe them in. Be careful to wear an appropriate mask! Awww, Thanks Cyd! I’m so glad it worked out for you!! i just received my mineral base and pigments in the mail. I’m so excited to begin the makeup creating process but am not sure which pigments to choose for very light/porcelain skin tone… also what do you recommend to use for a “veil”/ finishing powder? Yay Stephanie! You are going to have SO MUCH FUN doing the DIY thing. Very light skin will me a bit of a challenge, just don’t be afraid to add yellows or greens, or even blues to your blend. Not everyone is pink! As for a finishing powder, I can’t really recommend anything, as it isn’t something I use. Instead, I like to sprits a mixture of witchazel and aloe in a light mister to set my makeup. Let me know how everything works out!! Just wondering if you ever made the BB cream with mineral make up? Hey Yoli! I did experiment a bit, but I wasn’t happy with the distribution. I have plans to try again but I haven’t yet.